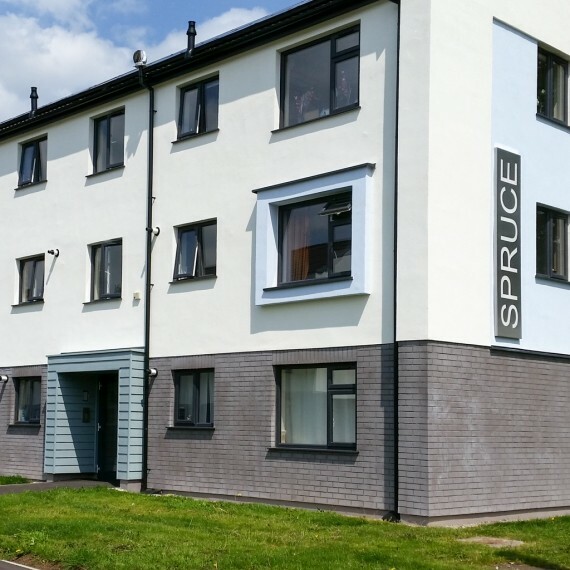 Redevelopment of 87 apartments along a key gateway in Warrington town centre, to reduce tenants energy costs whilst also enhancing the buildings’ aesthetic appeal. 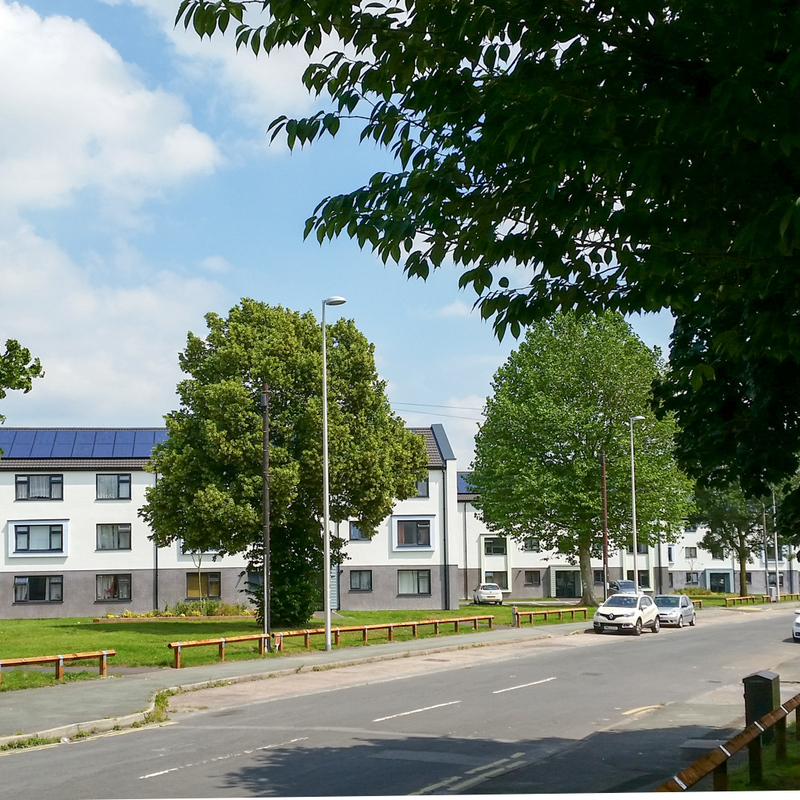 The scheme involves the refurbishment of 75 general needs apartments, temporary family accommodation for 12 families, as well as associated landscaping works the provision of off street parking. 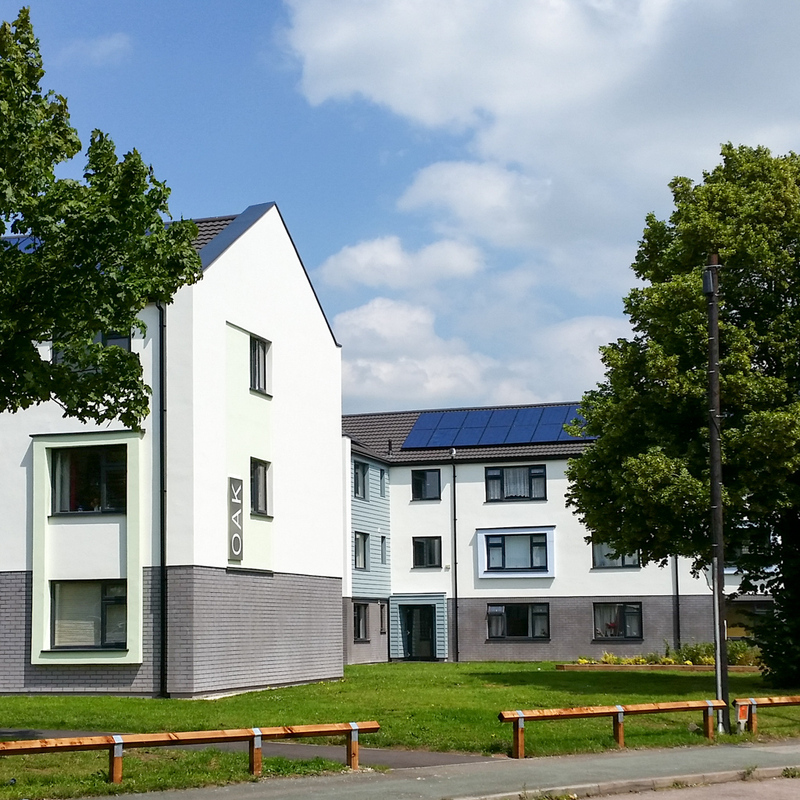 The blocks of apartments at Alder Lane, Warrington, had become unpopular and difficult to heat – making them hard to rent. 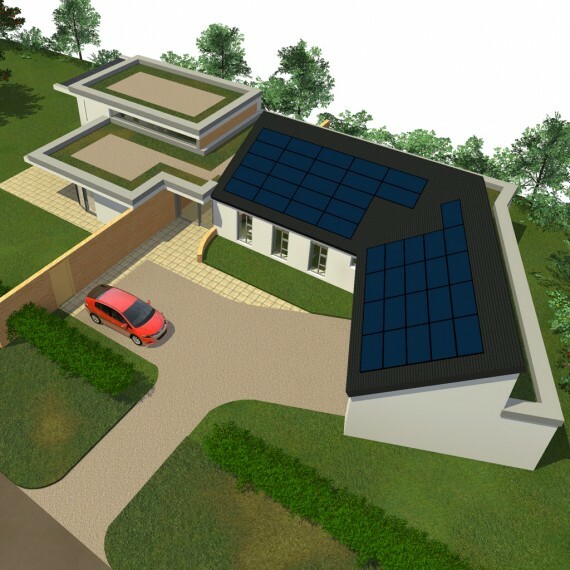 We were asked to come up with suitable proposals for changing their image and enhancing their thermal performance. 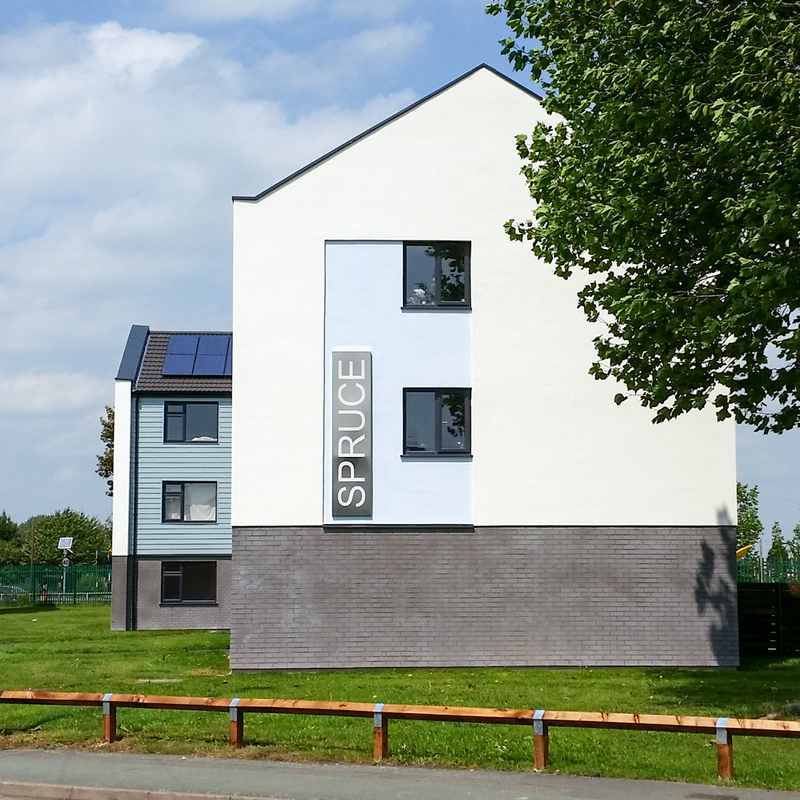 The aim of the project is to enhance and regenerate a prominent site along the A49 road into Warrington town centre helping to address fuel poverty but also to extend the life of the properties. 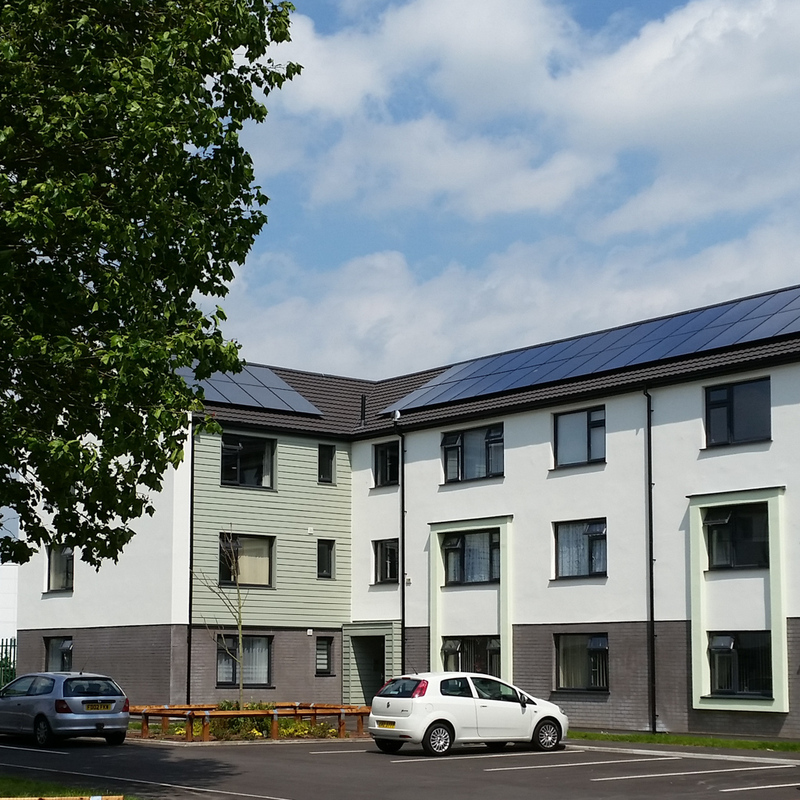 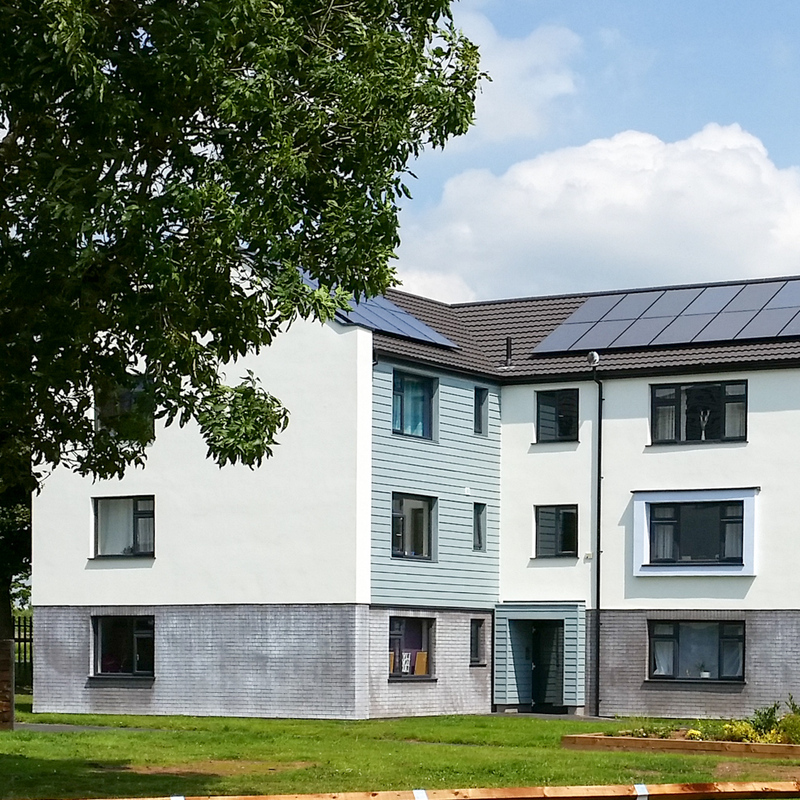 The Alder Green development triumphed at the 2015 Housing Innovation Awards. 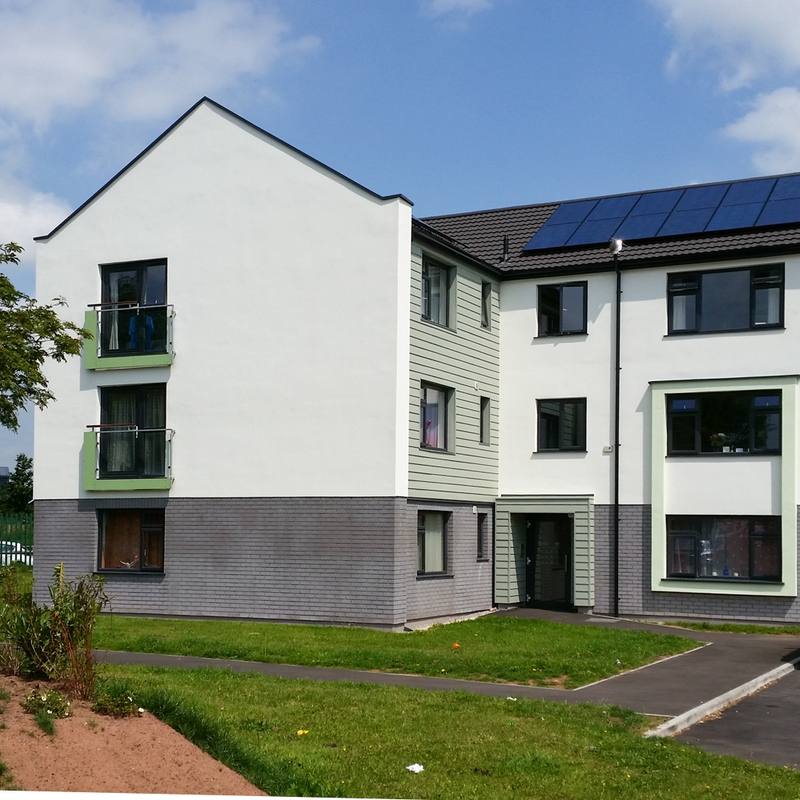 The multi-million pound project won the award for the “Most Innovative Refurbishment/Regeneration Project” beating stiff competition from the likes of the Glasgow 2014 Commonwealth Games Athletes Village. 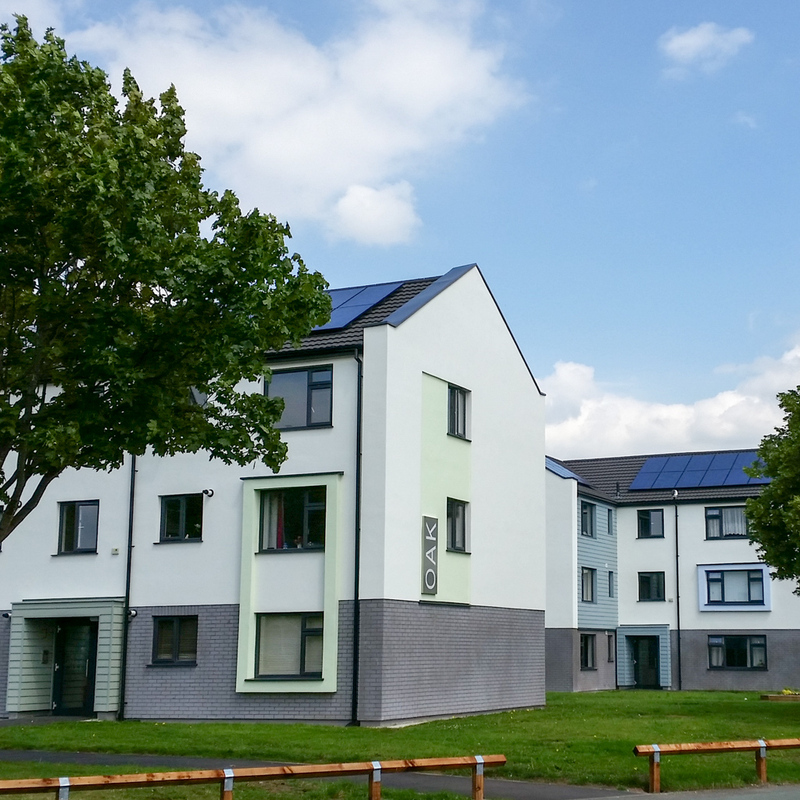 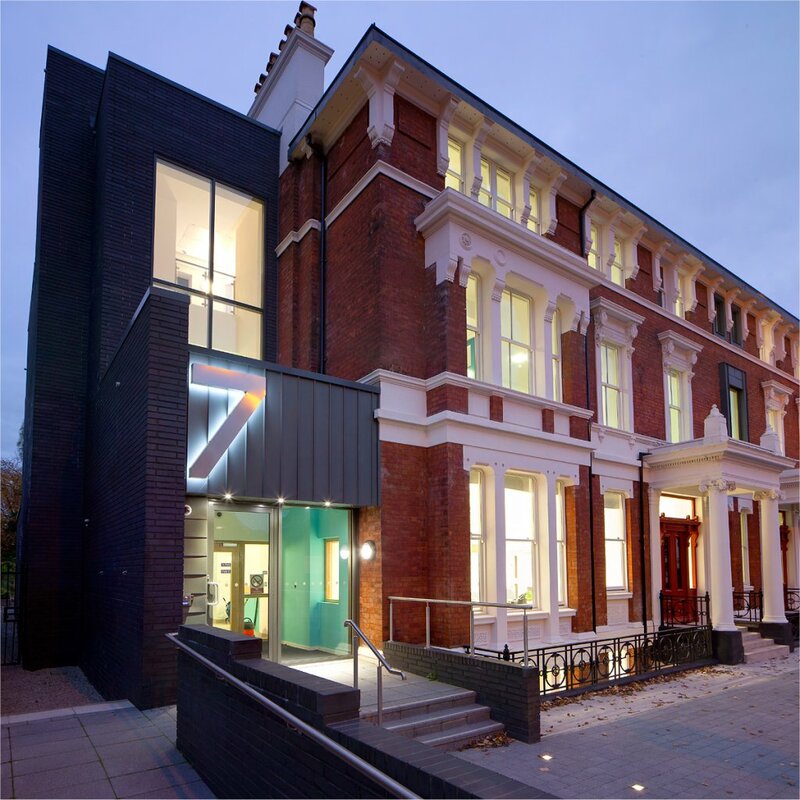 Working in partnership with energy efficiency experts, the project has seen five existing buildings and the surrounding area of Alder Lane being completely regenerated to bring them up to a ground breaking energy efficient green standard. 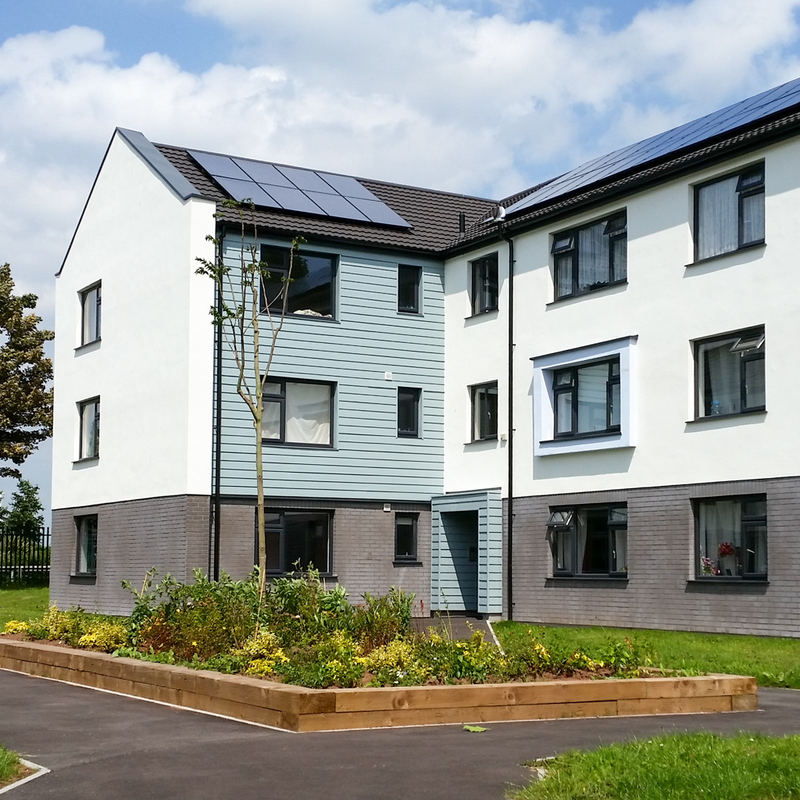 The award was presented to GGHT‟s Head of Repairs and Maintenence, Mark Burrows and Director of Housing, Peter Fitzhenry by LHC Regional Manager, Mij Rahman. 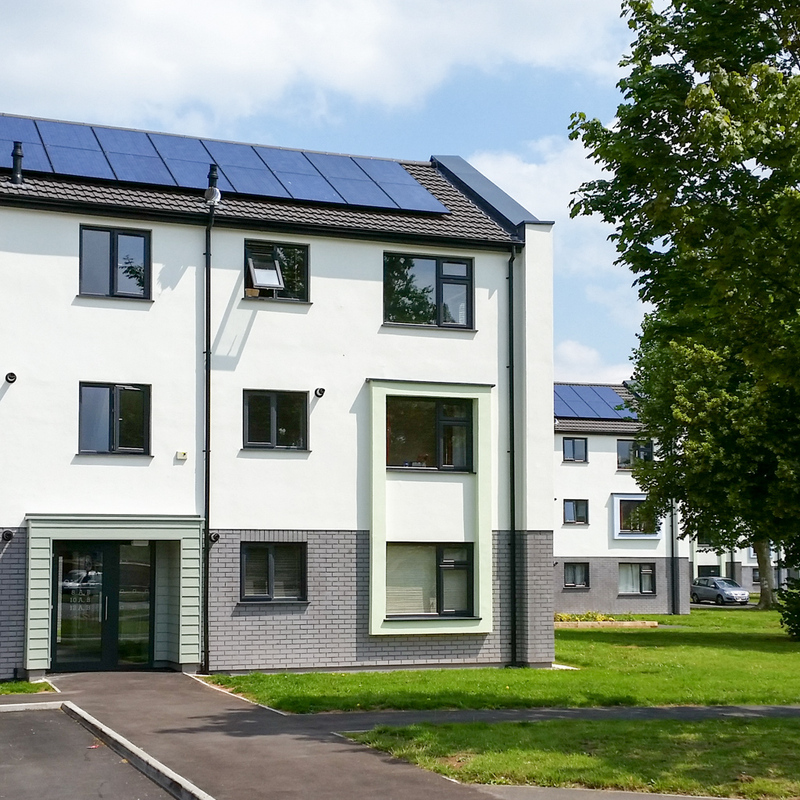 It aims to reward housing schemes which have been transformed through large-scale regeneration and refurbishment programmes that go above and beyond the norm. 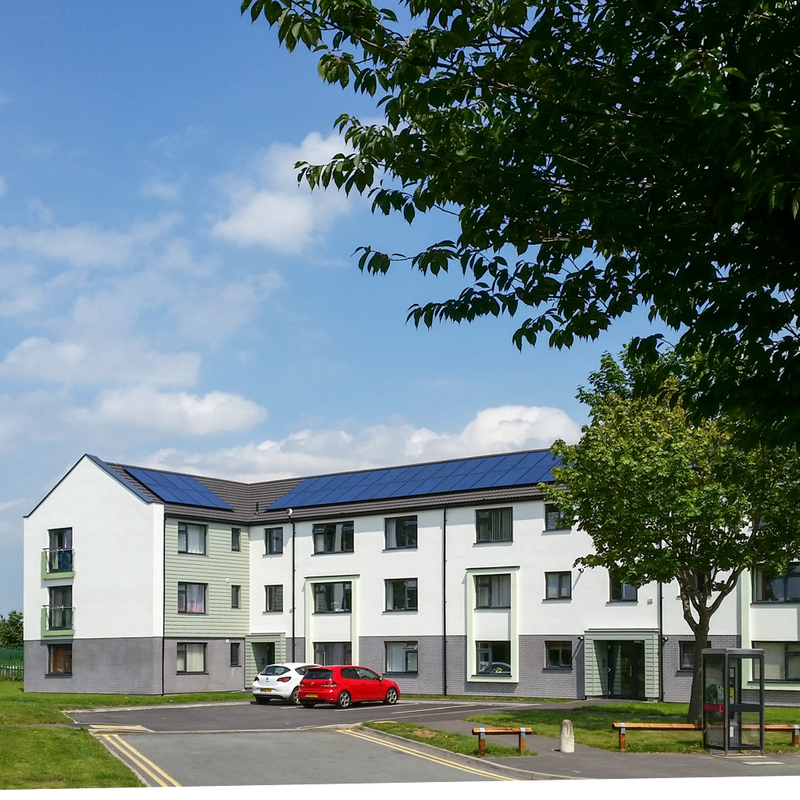 The most innovative part of this project was the development of the Smart Share Solar System which allows tenants to share systems. 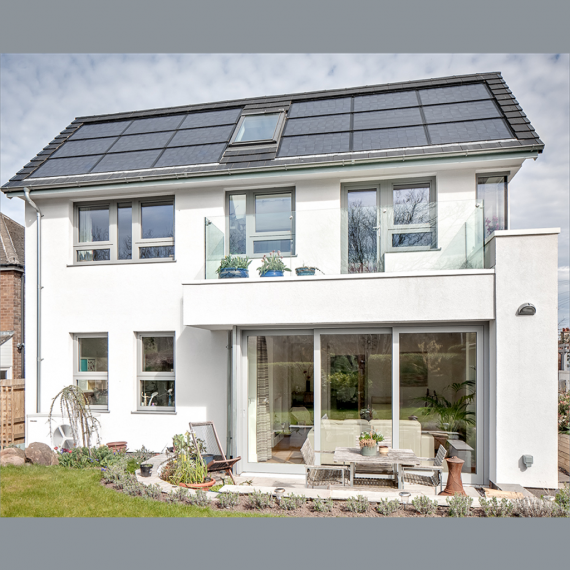 With no PV sharing system available on the open market, we helped to develop the product with solar PV monitoring organisation, SIG. 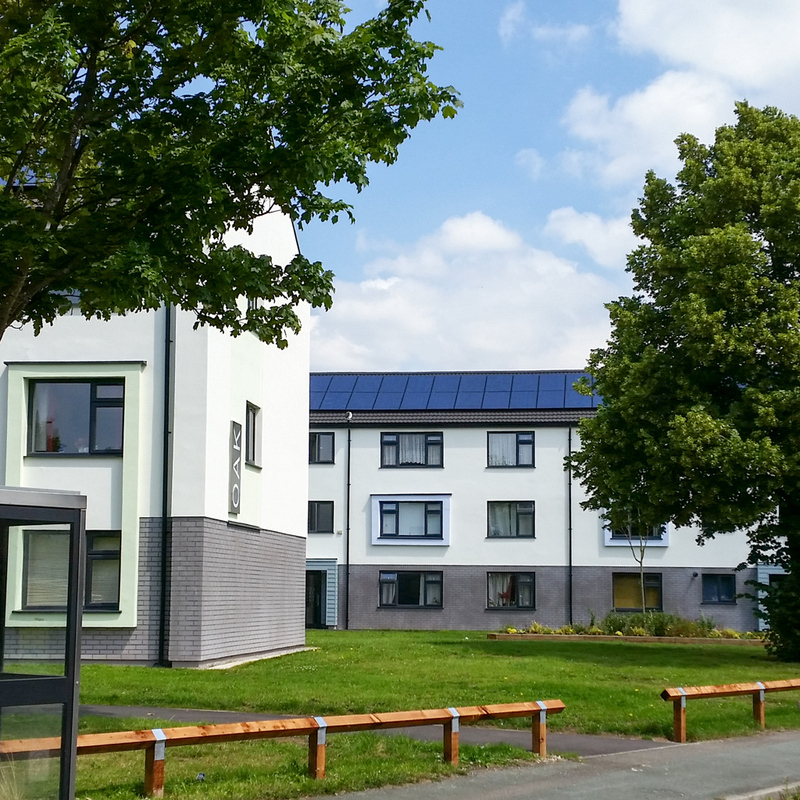 As well as developing this innovative solution, the project also combined a number of others in an innovative way including using solar battery storage to power the communal entry systems and lighting across the five buildings.